Naturally Glam Autumn Collection | iiaa Ltd | The UK and Ireland distributor of Environ Skincare, jane iredale makeup and Advanced Nutrition Programme. 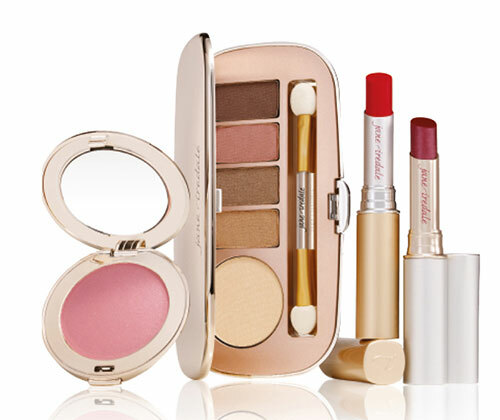 jane iredale’s new Autumn Collection includes four brand new additions. The Naturally Glam Eye Shadow Kit – five vivid and shimmery PurePressed® Eye Shadow shades housed in an elegant, rose gold compact. Totally wearable even for the colour-shy, the super-saturated shades add just a touch of lid-lighting shimmer. Add a soft wash of just-blushed colour with Clearly Pink PurePressed® Blush, and complement with Paris Just Kissed® Lip Plumper. For a dramatic look, add a glamorous red lip with Gwen PureMoist® Lipstick.